awesome products this month by Bag of Love! yes, good product variety and best of all the bag so cute! 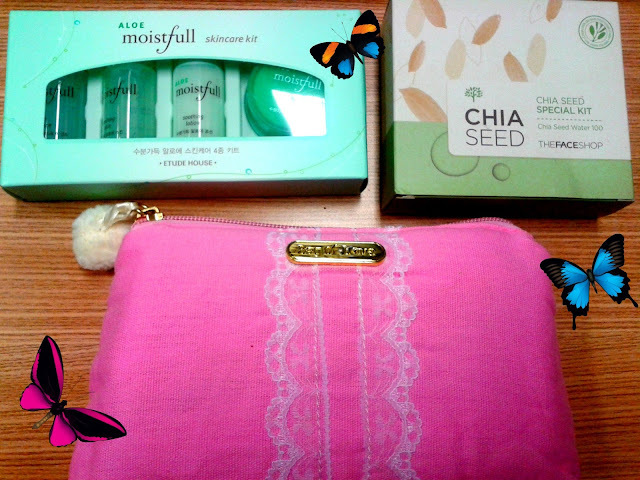 Never knew the small pink bag can fit so many goodies :D I love the shampoo too! Hi Illy, Your post came out even before I got my bag, you super blogger, you! I got my first sneak peak from you! Couldn't resist. I love the July bag too. Mi Mi is so generous with the two sets. I think some other beauty boxes would consider the products individually and call it even. I got the Polka Dot Nail varnish in a very dark Chocolate brown. Not so sure about this but I prefer the stronger, darker colours so it may do. 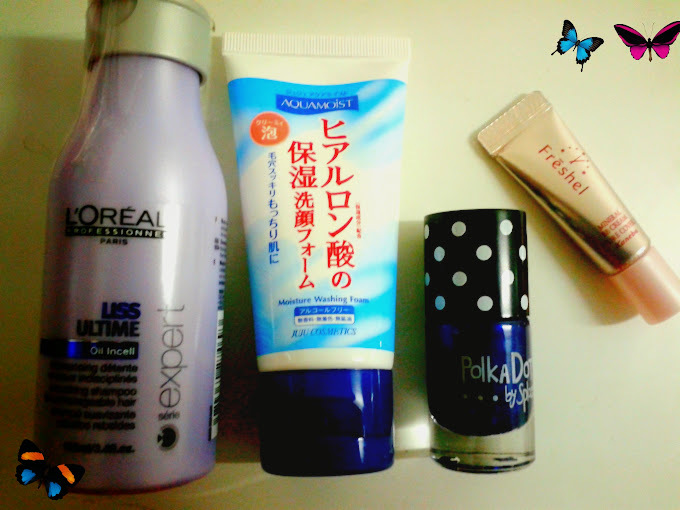 I love the BB Cream Sample. I was looking at this brand at Watsons. Pore cover...can't go wrong with that. I'm happy to get some shampoo too. The June Clairol was really, really good. So good that I am ignoring my regular shampoo. I have to get some more! I lovѵe your blog.. very nice colors & themе. Did үou cгeatе this website yourself ߋrr ԁіid you hire someone to dߋ it foг you? Plzƶ reply as I'm looҟіng to design my own blog and woul like to find out where u got this from. 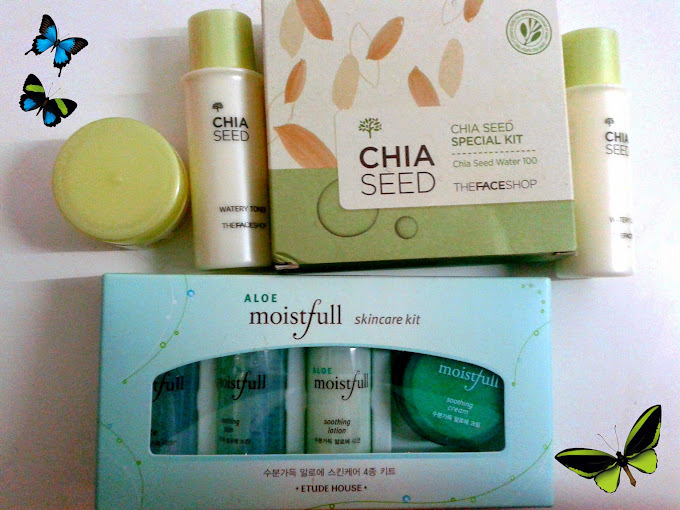 i've tried The Face Shop Chia Seed products, is very mild. can try. Loreal purple shampoo bottle from the Bliss Collection is also a good products. overall, ones will sustify & happy when received the items with great products.